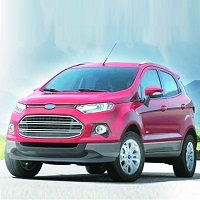 For a comfortable journey, it is essential to hire a high-precision and well-equipped car. If you are looking for such cars at affordable rents, then come directly to us. At Sai Tourism, we are instrumental in offering dependable car & coach rental services to the clients across Shirdi (Maharashtra, India). Essentially, we provide compact cars, convertible cars, economy cars, luxury cars, standard cars, and minivans at competitive rents. So, reach us now for getting the most stylish cars at affordable rents for your next trip.